Are you dealing with issues surrounding a pregnancy? IDSC for Life promotes the dignity and respect for all individuals with Down syndrome, from conception throughout life. Believing that all life is precious, they celebrate and enhance the lives of individuals with Down syndrome, as well as ensuring fair and accurate representation in prenatal diagnosis. IDSC for Life also extends compassion and hope for healing to families who have ended pregnancies. 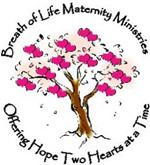 Breath of Life Maternity Ministries has been offering housing and hope to homeless pregnant women since 2000. Whether it's counseling, housing, resources, or someone to walk through the difficult journey of an unexpected pregnancy, Breath of Life is there to be the body of Christ to women who have courageously chosen life. Are you recovering from a past decision? Abortion Changes You is a confidential place for women, men, family members, and friends who have been touched by abortion. This interactive website invites you to begin the healing journey in your own way and at your own pace. You are not alone. Healing is possible. You can call the National Helpline for Abortion Recovery at anytime—it is a confidential service that is always available. The trained phone consultants have experienced the pain of abortion and are ready to help you with your abortion recovery healing process. If OCTOBER BABY raised emotional issues for you (areas such as forgiveness, resentment, bitterness, parenting issues), you can speak to a licensed counselor by following the link below to the free service provided by Focus on the Family. Surrendering The Secret is an 8-week study that can be done one-on-one or in a group setting. There are more than 700 trained leaders available across the nation.